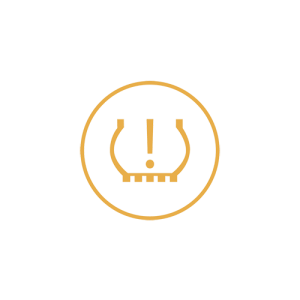 When you see this on your dashboard, it means you have low tire pressure. The purpose of your car’s TPMS (Tire Pressure Monitoring System) is to alert you when tire pressure is too low. It could be an indication of unsafe driving conditions. There are a few issues the illuminated light could be pointing out. For example, it could mean that your tires are under-inflated, which if left untreated could lead to bigger problems. So your TPMS light is on~what does it mean? Here are a few potential problems, scenarios, and solutions. Maintaining proper tire inflation is essential to vehicle handling, overall tire performance, and load carrying capability. Reduce tread movement which gives the tire a longer tread life. Reduce rolling resistance which is the force required to roll a loaded tire, and results in increased fuel efficiency. Increase water dispersion which decreases the possibility of hydroplaning. Overinflation or under-inflation cause premature tread wear and possible tire failure. Overinflation may result in decreased traction, premature wear, and the inability to absorb road impact. Overinflated tires will show premature wear in the center of the tread. Under-inflation will cause sluggish tire response, decreased fuel economy, excessive heat buildup, and tire overload. An under-inflated tire will show premature wear on both outside shoulders. What should I do if my TPMS light comes on while I am driving? When the TPMS light comes on – and stays on – at least one of your tires is at a low-pressure level. Pull into the nearest gas/service station. Check the pressure of all of the tires with a gauge and, if possible, determine the cause of pressure loss. If you do not see a puncture, then add air. If you see an issue, have the tires serviced as appropriate. You may need to reset the indicator. Check your car’s manual for further instructions. What does it mean if my TPMS light comes on and then goes off? Fluctuating temperatures may trigger the alert that your tire pressure is near off. This most commonly occurs if the temperature drops severely overnight. The light may come on when you first start the car, only to go off a little later on in the day once the temps stabilize. While the instrument may not sense an issue, it is best not to ignore it. Use a tire gauge to check the pressure of all four tires and make any adjustment necessary. What happens when my TPMS light flashes and then stays on every time I start my car? If your indicator light flashes for around 60-90 minutes, then stays on, every time you start your car, it could mean your TPMS light could be malfunctioning. At this time, you should take your car to a service center for inspection. It is dangerous to continue driving without a proper TPMS light as you will not be made aware of any issues with your tires. Does a TPMS indicator light replace regular tire inspections? No! You must understand that it is imperative to have your tires inspected annually. During this service, your technician performs a series of checks, including examining the treads and tire rotation. The indicator light is meant to serve as an instant indicator of an immediate issue. Import Automotive recommends a complete tire inspection and service as part of your Scheduled Annual Manufacturer’s service. However, if your TPMS light comes on, please contact us, and we can help you determine the source of the issue and address it appropriately and swiftly.